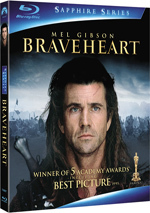 Academy Award winner Kevin Costner triumphs as the legendary Sherwood Forest outlaw leader in this epic adventure bringing a 12th-century medieval world to spectacular screen life. Enhancing the sheer fun of this audience rouser are 12 added minutes of footage not seen in theatres, especially more of the juicy malevolence and sinister background of Robin Hood's archenemy, the Sheriff of Nottingham (Alan Rickman). Morgan Freeman, Christian Slater and Mary Elizabeth Mastrantonio also star in this lavish production lensed in Britain and France, where historic structures, majestic forests and vividly realistic recreations of Olde England combine to create a world at once ancient and ageless. After the enormous left-field success of 1990’s Dances With Wolves, Kevin Costner seemed poised for a coronation as our biggest box office hero with the following summer’s Robin Hood: Prince of Thieves. An elaborate, big-budget, star-studded retelling of the old legend, Thieves enjoyed a great deal of hype and it seemed like the main attraction for the summer movie-going season. However, it didn’t quite work out that way. Unlike later Costner bombs like 1995’s Waterworld, Thieves definitely found an audience. It took in a sizable $165 million, which placed it third on the year’s list of top-grossing flicks behind Terminator 2: Judgment Day and Beauty and the Beast. That should be good enough, right? Maybe, but in 1991, it seemed like a disappointment. Thieves never emerged as the stellar blockbuster those behind it apparently imagined. Yes, it raked in some pretty good bucks, but it didn’t seem to make much of an impression. Set in the 12th century, the movie opens with a text prologue that tells us King Richard the Lionheart is currently away from England for the Crusades and many English noblemen fight there with him. The film then cuts to a prison in Jerusalem, where we see the torture and maiming of the inmates. Aided by Azeem Edin Bashir Al Bakir (Morgan Freeman), Robin of Locksley (Costner) stages an action-packed escape from the joint. When Robin saves Azeem’s life, the latter becomes indebted to him, so he declares the two must remain together until he repays Robin. In the meantime, Robin’s father (Brian Blessed) fears for his son’s safety and wonders what happened to him. The treacherous Sheriff of Nottingham (Alan Rickman) tries to get Robin’s dad to join his side, but he declines and apparently perishes as a result. After four months, Robin returns home with Azeem. He plans for a reunion party, but he quickly learns this won’t happen when he encounters the Sheriff’s goons, with whom he fights. He also finds out about the demise of his dad and the decrepit state of his castle. This sets Robin on a path to avenge the death of his father. He goes to the nearby home of his long-time friend Peter (Liam Halligan), who died during the prison escape. He goes to see Peter’s sister Marian (Mary Elizabeth Mastrantonio), with whom he also briefly tussles. (Can’t this dude meet anyone without a fight?) Their reunion passes quickly, as the Sheriff’s men come for another attack. Despite rumors that it’s haunted, Robin, Azeem and family servant Duncan (Walter Sparrow) head into Sherwood Forest to escape the baddies. Robin discovers the truth when he finds the inhabitants of the Forest. Not surprisingly, this leads to another fight. Will Scarlett (Christian Slater) taunts him, while John Little (Nick Brimble) challenges him to a quarterstaff duel. Robin wins and earns the respect of John and the others, and he starts to form them into a formal gang to challenge the Sheriff’s authority. Robin soon runs into the Sheriff after a church service, where he gets into yet another tiff and leaves the Sheriff with a scarred face. The Sheriff authorizes his men to terrorize the peasants, which creates more refugees for the Forest. This creates more dissension, as many blame Robin for their misfortunes. However, he uses the moment to inspire them to resist the Sheriff and take up arms against him. The rest of the movie follows their adventures as they rob from the rich and give to the poor. Though I’d not seen Thieves in quite some time, I maintained positive memories of it. I never thought it was a great film, but I recalled it as fun and exciting. Unfortunately, this newest encounter revealed lots of flaws but little charm. Some of the negative thoughts that the film commonly receives relate to Costner’s “here today, gone tomorrow” English accent. Yes, Costner’s inflection comes and disappears throughout the movie, but I wouldn’t single him out for that problem, as other Americans like Mastrantonio and Slater don’t fare much better. Instead, criticisms of Costner should focus on how wrong he is for this part. Costner works best in low-key roles that allow him to be laid back and fairly introspective. Robin needs to be charismatic and extroverted, however, and Costner can’t make this work. He feels fake and unexciting as he tries to deliver platitudes or rally the troops, and he leaves the movie with a hole at its heart. Not that the other actors improve on the situation. Rickman gives the broadest performance humanly possible, one that I used to really like. However, he now just seems way too over the top. His scenes often fail to mesh with the rest of the piece, as he feels like he’s acting in a different movie. His comic moments fall flat, and Rickman simply comes across as campy and silly. I hate to say that, for I genuinely like Rickman as an actor, but his work here harms the movie. Granted, I can’t blame Rickman for trying to liven up this plodding affair. As I noted earlier, Robin can’t seem to meet someone new without a fight, and those moments clearly offer artificial attempts to spice up the narrative. The action of Thieves rarely melds well with the story. Instead, these pieces pop up in awkward places to create vain endeavors to enliven the film. They don’t work and they feel out of place. Add to that characters that barely seem one-dimensional and the movie really encounters issues. The script feels cobbled together and only vaguely coherent. Plot strings fall by the wayside seemingly at random, and the pacing appears weak. Parts of it make no sense at all. For example, when we first meet Marian, she establishes herself as a tough fighter. However, during a later battle that involves Robin, she simply stands aside and whines the whole time. Why not join in, honey? I could forgive much of this if Robin Hood: Prince of Thieves possessed even a small spark of fun. Unfortunately, it doesn’t, as the movie seems like cinema by committee. It comes across like such a contrived attempt to create a summer blockbuster that it fails to connect with the spirit that made its predecessors successful. When I don’t like a movie that prominently features Morgan Freeman and Alan Rickman, something’s wrong, and Thieves offers little entertainment. 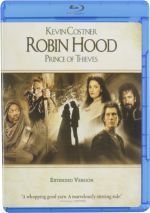 Robin Hood: Prince of Thieves appears in an aspect ratio of approximately 1.78:1 on this Blu-ray Disc. The image wasn’t a disaster, but it was surprisingly bland for a big budget “A”-list movie such as this. Sharpness caused quite a few concerns. At times, it looked nicely detailed and distinctive, but more than a few exceptions to that rule occurred. Substantial parts of the movie looked vaguely loose and indistinct, and some scenes were more noticeably soft and fuzzy. Even medium shots displayed some of these issues, and the image was rather gauzy-looking on occasion. No issues with jagged edges or moiré effects occurred, and edge haloes also remained absent. In terms of print flaws, the movie looked clean and didn’t suffer from any noticeable defects. Colors often looked fairly pale and faded. For the most part, they failed to appear very lush or rich. Instead, they could come across as a bit lifeless. The image’s gauziness meant the black levels tended to seem somewhat murky and dull, and shadows could appear moderately dense and opaque. Overall, much of the movie was flat and muddy. This was a bland presentation. One odd issue related to the aspect ratio appears if you listen to the audio commentary that includes director Kevin Reynolds. He indicates that he composed the movie for 1.66:1 instead of 1.85:1. The actual 1.78:1 ratio compromises between the two. From what I can tell, Thieves has never appeared on home video in a 1.66:1 ratio. While not a seriously impressive affair, the Dolby TrueHD 5.1 audio of Robin Hood: Prince of Thieves worked a lot better for me than the picture did. The soundfield focused most heavily on the forward spectrum. Music demonstrated very nice stereo separation and imaging, and effects helped create a good sense of setting. At times the track seemed a little “speaker specific”, and not all of the elements blended as well as I’d like, but they usually meshed pretty nicely. The mix gave us a good feeling of atmosphere and came to life pretty well during action sequences. The surrounds contributed a good layer of reinforcement for the music, and they also kicked in some nice definition for fight scenes as well as some atmospheric attitude. It didn’t excel particularly, but the soundfield was acceptable. Although the soundfield was a little less involving than I’d expect, I thought the quality of the audio worked the best. The score seemed especially terrific, as the music consistently sounded robust and dynamic. Bass response was tight and rich for the score. Speech suffered from some slightly poor looping, but the lines remained fairly natural and distinct, and I heard no issues related to edginess or intelligibility. Effects occasionally sounded a little thick, but they mostly came across as accurate and distinctive. They also displayed solid low-end material. This was a very good mix, especially given its age. How did the Blu-ray compare to the 2003 DVD? Audio was pretty similar, as this disc’s TrueHD mix matched up closely with the DVD’s DTS track; the lossless version had a little more range, though. Visuals showed some extra kick, though a lot of the issues that marred the DVD cropped up here, such as the film’s general murkiness. I suspect those concerns stemmed from the source, though, and at least the Blu-ray provided somewhat better definition. It also lacked the source flaws that distracted on the DVD, so ugly as it could be, the Blu-ray was the superior release. The Blu-ray repeats the DVD’s extras, and we start with the movie itself, which appears in an extended version that runs two hours, 35 minutes; to the best of my knowledge, the 143-minute theatrical cut remains unreleased on Blu-ray. The changes mostly feature additional footage with Nottingham and Mortianna, as we find a substantial subplot that didn’t make the theatrical version. The alterations can be interesting to see but they don’t improve the film. Thieves comes with two audio commentaries. 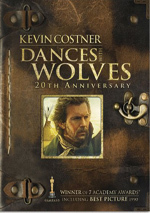 The first features director Kevin Reynolds and actor Kevin Costner, both of whom sat together for this running, screen-specific track. That element surprised me; allegedly Reynolds and Costner experienced a falling out some time ago, so I didn’t expect to find the pair together for this piece. Unfortunately, no sparks fly during this dull commentary. Praise dominates this track, especially from Costner, who frequently lauds parts of the production and Reynolds’ work. Many extended gaps occur during the presentation as well. Locations and sets dominate the rest of the discussion, though a few more interesting matters pop up at times. We learn a little of how the pair arrived on the movie, and Costner acknowledges his inconsistent accent and explains it. They chat briefly about rival films from the time and provide the occasional interesting anecdote from the set. For the most part, however, Reynolds and Costner fail to give us much useful material, and this commentary rarely seems compelling. The second commentary comes from producers/writers Pen Densham and John Watson with actors Morgan Freeman and Christian Slater. All four sit together for this running, screen-specific piece. While not terrific, this track seems much more interesting than the one with the Kevins. Densham and Watson strongly dominate the commentary. The actors occasionally toss in a few memories and reflections on their work, but mostly the writers/producers discuss the material. They relate how the program came to fruition and various elements of bringing a new version of the myth to the screen. They also get into script issues, production aspects like choosing locations and casting, and a mix of other topics. We also learn what scenes are new to the extended edition. Overall, the commentary moves at a decent pace – though it sags occasionally during the second half - and it seems like a fairly useful synopsis of the production. Hosted by Pierce Brosnan, Robin Hood: The Myth, the Man, the Movie comes from 1991 and provides a mix of movie clips, historical information and behind the scenes shots, and interviews. We hear from director Kevin Reynolds, actors Costner, Freeman, Mary Elizabeth Mastrantonio, Christian Slater, Michael McShane and Alan Rickman, writers/producers Watson and Densham, costume desinger John Bloomfield, composer Michael Kamen, stunt coordinator Paul Weston, historian Sir James Holt, author Graham Black, education officer John Charlesworth, Robin Hood “relative” David Lemm, Sheriff of Nottingham Alfred Stone, Robin Hood folklore authority Jim Lees, and film historian Rudy Behlmer. The 31-minute and 52-second “Myth” starts with a quick overview of the historical legend; that takes up about a third of its running time. After that, we get notes about the movie, with an emphasis on costumes, music, the cast, stunts, and various anecdotes from the set. The program includes some decent information. The historical bits are superficial but interesting, and the shots from the Thieves set are fun to see. However, the show’s heavily promotional tone seems too obvious most of the time, and that makes “Myth” somewhat tough to take. It exists simply to get folks into theaters, and it lacks much depth. Next we find a collection of vintage interviews with cast members. We get remarks from Costner, Mastrantonio, Freeman, Rickman and Slater in a collection that lasts a total of 19 minutes, 29 seconds. Unfortunately, the comments seem awfully bland. Mostly we hear about the different characters and what the actors thought of the material. They also reflect on the other performers, but no one says much of interest. We also find Bryan Adams live for a performance of the megahit “(Everything I Do) I Do It For You” from Ireland’s Slane Castle. The piece runs four minutes, 17 seconds as Adams offers an acoustic take of the tune. It seems odd that we don’t find the original music video for the song, but this offers an interesting alternate. Next we locate the movie’s theatrical trailer and six TV spots. The final extra is odd but cool. We get Michael Kamen’s score presented in Dolby Digital 5.1 sound. This isn’t an isolated track you watch along with the movie. Instead, it works just like a compact disc on your Blu-ray: you can run the whole thing or skip to different parts. I don’t care about the music myself, but this nonetheless seems like a very nice bonus. A fairly bland example of a summer movie, Robin Hood: Prince of Thieves seems too awkward and forced to succeed. I know a film’s in trouble when I feel consistently distracted, and since I found it hard to focus on this flick, that indicated problems. Thieves simply feels like a self-conscious attempt to borrow highlights from other movies without any ingenuity or spark of its own. The Blu-ray provides good audio and bonus materials but picture quality seems lackluster. This is a decent release, but the movie itself remains a bit of a bore.